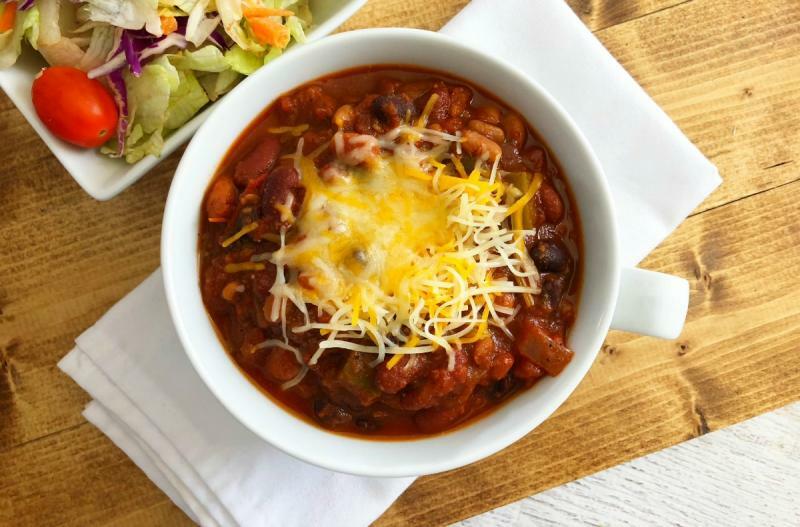 The seasonings pair so well with the veggies in this chili! Open, drain and rinse the cans of pinto, black and red kidney beans. Seed and chop the green bell pepper. Slice the zucchini. Chop the onion. In a large saucepan or Dutch oven, saute the green bell peppers and onions for 2 to 3 minutes. Stir in the crushed tomatoes, pinto beans, black beans, red kidney beans, sliced zucchini, minced garlic, chili powder, ground cumin, dried oregano and vegetable stock. Bring to bubbling and let simmer for 10 minutes to allow the flavors to mingle. Season with salt and pepper to taste. 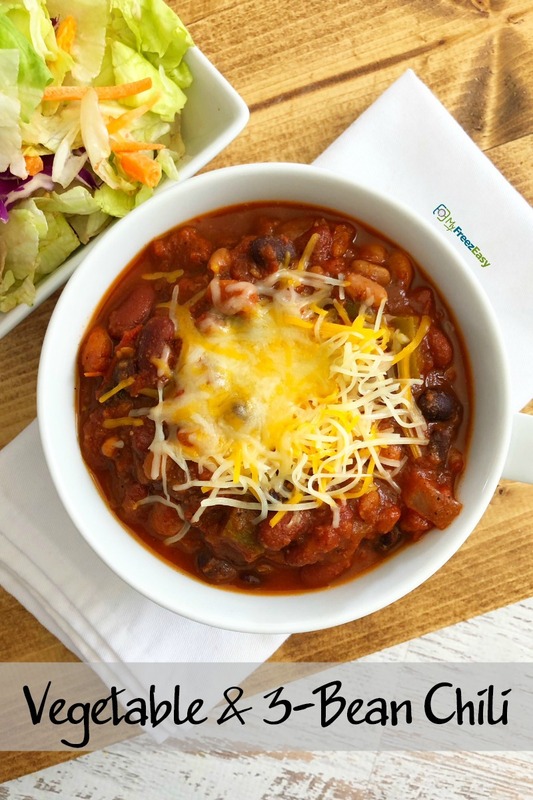 Serve Vegetable & 3-Bean Chili with shredded cheese garnish and dinner rolls. Open, drain and rinse the 2 cans of pinto beans, black beans, and red kidney beans. Recipe is dairy-free when omit the cheese garnish.